Defined by its athletic character and unique choreography, acro dance seamlessly blends dance and acrobatics. As especially challenging technique, acro dance requires the performer to be in excellent physical condition. At Roydon Academy of Performing Arts, in Leigh-on-Sea, Essex, we teach specialist acro dance classes and lessons to pupils aspiring to optimise their physical performance and athletic ability. An innovative style of dance that combines classical technique with precision, acro dance explores acrobatics within a dance context. A popular style in amateur competitive dance, acro dance is a rigorous form of exercise and physically-challenging activity. In addition to amateur competitions, acro dance is well-practised in professional theatre and contemporary circus productions, such as those by Cirque du Soleil™. 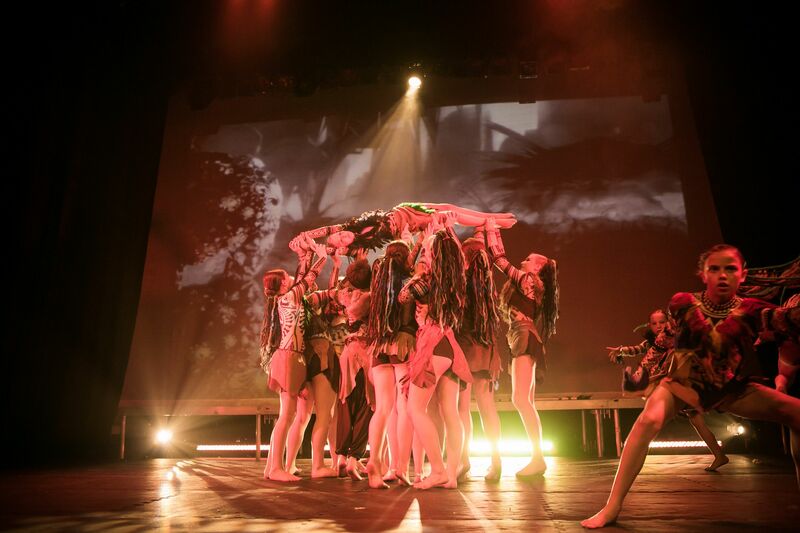 An especially demanding dance style, acro dance requires performers to be trained in both dance and acrobatics. As an intense activity, acro dance enables performers to extend the limits of their body, stretching their athletic ability. Its distinct characteristic is the smooth, graceful transitions between dance and acrobatic movement. In order for dance to be categorised as acro, it must comprise a significant percentage of dance movement. Gymnastic floor exercises are not considered to be acro, as they contain little or no dance movement in comparison to acrobatic content. Additionally, they lack smooth transition between dance and gymnastic movement. The vigorous dance movements in acro dance are founded in ballet, jazz, lyrical, and modern styles. However, acro dance movements are not restricted to these. Typically, though, the absence of these styles will cause the dance to be categorised in a style that is different to acro. Adopting highly specialised techniques, acro dance incorporates performed movements that are referred to as tricks. Numerous tricks, which vary widely in complexity and skill-level, are performed in acro dance. Aside from the obvious prerequisite that the dancers must possess the skills to perform adequately, the number of dancers will determine the type of tricks performed. As well as tap, theatre and singing, acro dance is wonderful for children. Additionally, tumbling offers children an introduction to the basics of acrobatics. During the class, children are taught rolls, cartwheels, and bridges, which provide the building blocks for progression in dance, cheerleading, and gymnastics. Moreover, these skills will contribute to the development of your child’s physical fitness and, crucially, their wellbeing. Contact us, in Leigh-on-Sea, Essex, to find out more about the innovative acro dance classes and lessons we deliver as proactive tutors.